This is Gideon’s story. Read it in the Bible. After you’ve watched the video, read the full story in the Bible. Then use the questions to help you think about Gideon’s story. How did the video make you feel? Did you know whose story it was? How did the video impact how you read the full Bible story? What did you learn about God from the story? What did you learn about yourself from the story? What now? Will this story change how you live? Click here to download the video of Gideon’s story. When video screen appears, right click and ‘Save video as…’ (or equivalent) to download. The story shown in the video helps us to reflect on society today. The ‘Gideon’ story helps us to think about what it is like to live in a region where it is not always easy to have an open faith. Many people across the world are responding to Jesus in unexpected places, where living as a Christian really makes them stand out. In Honduras, one of the most corrupt and violent countries, the Bible Society are seeing both prisoners and police officers turning to Christ and learning how to live by His Word. If you and your study group would like to be inspired by this wonderful project, you can discover more about it here. 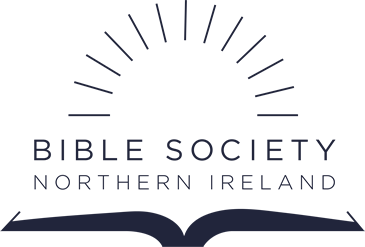 You many even be inspired to pray for the Bible Society in Honduras and the people receiving God’s Word. Or perhaps your group would like to support the work. Click here to find out more about the amazing work happening in Honduras.